Osteopathy treats the patient as a whole. It is concerned with the relationship between the musculo-skeletal system and the whole function of the body. Many things can alter the body framework, such as congenital and developmental abnormality, injury, disease states, habitual misuse or overuse, and osteopaths treat the variety of conditions that occur as a result, such as pain in the low back, hips, shoulders or neck, sports injuries, arthritic pain and headaches. By noting alterations in structure or function of the body the osteopath is able to interpret patterns of aches, pains and other health problems that might appear unconnected and analyse how the condition has arisen and what can be done to help. 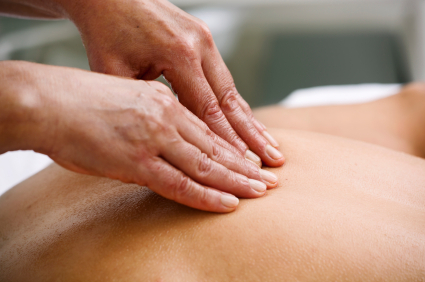 Osteopaths work with their hands using a variety of treatment techniques. These may include soft tisse stretching, rhythmic, gentle, passive joint movements, or high-velocity thrust techniques (often described as 'clicking' or 'popping') to improve the mobility and range of movement of a joint. Gentle release techniques are used when treating children or elderly patients. Osteopaths are taught to identify conditions where osteopathic treatment may not be appropriate. A full case history will always be taken prior to treatment to help the osteopath make the correct diagnosis. Osteopathy is one of the few alternative or complementary systems of medicine that have demonstrated benefits under the scientific scrutiny of sceptical research doctors. It is now well established as a legitimate treatment for many conditions that are obviously related to the skeleton and its functions — arthritis and rheumatism, backache, sciatica, stiff neck, frozen shoulder and many forms of headache. It can also offer benefits in many other conditions where interference with the normal free flow of nervous energy contributes to the cause — asthma, period problems, certain heart conditions and some kinds of stroke are examples. Indeed, proponents of osteopathy claim that it stands in its own right as a complete and comprehensive system of medicine, far more universal in its application than conventional surgery or drug therapy. Better still, osteopathy is at its most useful where medicine is weakest — any form of arthritis or skeletal stiffness short of the very worst in which cancer is involved or surgery may be required. This wide ranging application stems from a much more comprehensive understanding of the human skeleton than most doctors possess. In medicine, x-ray technology tends to focus interest on bones and joints, the parts that can be seen. An osteopath starts from there but extends his knowledge by inspection and manual examination of the living body, so he is much more aware of muscles and ligaments and their integral involvement with bones and joints in a fully functional skeleton. His skills enable him to manipulate each joint separately and massage muscle groups appropriately, according to the condition. Many physiotherapists acquire some of these skills as extensions of their basic training, but most physiotherapy is based on less specific use of heat, ultrasound, exercises and massage. Many healers, notably the late Bruce Macmanaway and his students, recognise a close correspondence between dislocated joints in the spine and blocked flows of healing energy. There are certainly many instances in which correction of a seemingly minor dislocation is followed by cure of a disordered function elsewhere in the body. Chiropractors take this approach a lot further and treat a wide range of conditions by highly specialised manipulation, concentrating on the spine. Practitioners of chiropractic are not very numerous in this country but have been familiar in North America for several decades. This wide ranging application stems from a much more comprehensive understanding of the human skeleton than most doctors possess. Some osteopaths, too, have a further specialisation. Detailed examination of the workings of the human skull reveal something that should have been obvious - that its joints have a function. In fact it can pulsate between two extremes of shape - long and thin, short and fat. These pulsations take place about six times a minute and are easy to feel by an appropriate technique. Derangement of these movements, as a result of head injury or a difficult birth, can interfere quite severely with a wide range of central nervous functions, and is one cause of migraine. Quite a few osteopaths, chiropractors and dentists now take this knowledge into account in their work. 1. The best guide to choice of a practitioner is local reputation (see complementary medicine). If you have nothing else to go on, it is perfectly legitimate to contact your chosen practitioner in advance asking for details of what he or she has to offer, even requesting a brief interview without obligation — willingness to grant it is a fairly reliable indication of professionalism. Andrew Taylor Still was an American country doctor who noticed striking relations between disease conditions and structural faults in the body and succeeded in healing many of these conditions by manipulating the spine or muscles. He founded the tradition of osteopathy and taught many pupils before his death in 1917. Meanwhile George Frederick Still had become famous as the foremost paediatrician of his day, and gave his name to the childhood version of rheumatoid arthritis — Still’s disease. It is ironic that few doctors have heard of Andrew Still although many now use his form of treatment, whereas his much more famous namesake is only remembered for describing a disease he could not cure! The chief snag with osteopathy is the large number of different schools, professional registers and alternative qualifications. We have listed the best-established first.